For the Gouldian Finch, and many other Australian Finches, the availability of food in their natural environment varies and changes throughout the year. But what sort of a role does this play in the birds’ lifecycle? In the birds’ natural environment of Australia there are only two seasons, the “wet” & “dry” seasons. The change in length of daylight swings only by a couple of hours between these two seasons, therefore it is the availability of nutrition that is the primary factor in determining when physiological changes should occur in the birds’ bodies. Not the availability of daylight and/or temperature changes, which is one of the primary factors for many species of European birds. What effect does this have on the birds? The availability of food and food types will act as a trigger for the finch, telling the bird when it’s time to breed, when it is time to moult and when it is time to rest before the breeding season. 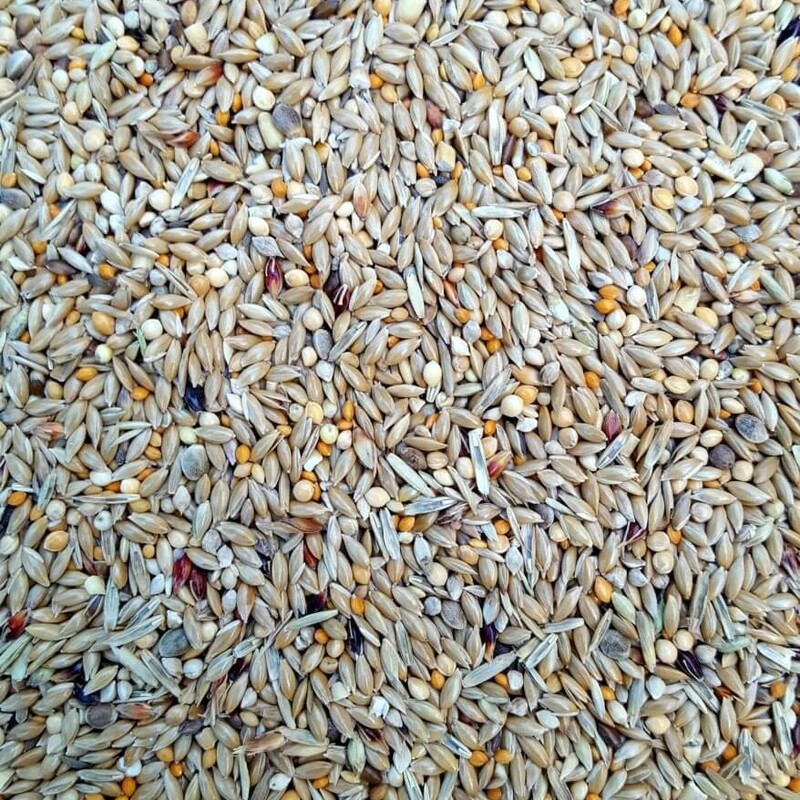 Although placing your birds on a good quality seed mixture all year round can give them an adequate level of nutrition, it does not harmonise with the birds’ natural bio-rhythms that have evolved over hundreds of thousands of years to suit their natural habitat. As a consequence, incorrect diet, or even the correct diet but at the wrong time, can and will often contribute to poor breeding results which can include infertility problems, parents not sitting on eggs, and chicks being thrown out of the nest. There are also some health related issues that can occur in birds that are not on a diet which harmonises their bio-rhythms such as “stuck in the moult” where a Gouldian can begin to show signs of varying degrees of baldness due to its body being out of hormonal balance with the correct stage of its natural life-cycle. When it comes to selecting the correct diet for our birds, I believe in mimicking Mother-Nature as closely as possible. It is through this understanding, and largely through the many years of research carried out by scientists in Australia who have been studying the wild bird’s nutritional requirements, that we have come to understand the diet of finches changes and varies throughout the year depending on what is naturally available throughout the different stages of the seasons. The wild finch already has an advantage over our captive bird, for their bio-rhythms harmonise naturally with the changes in food availability at different stages of the seasons. 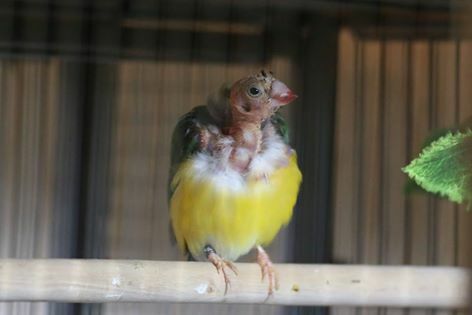 However, our captive bird’s bio-rhythms are completely dependent on what we feed them, therefore to get the most out of our captive birds we have to play the role of Mother Nature and guide the necessary physiological changes that need to occur in our bird’s bodies (moulting, resting & breeding) by controlling their diets for the correct stage of their yearly life-cycle. It is with all this in mind that we have based the formulation of our x3 different Gouldian and Australian seed mixtures upon. Included in the seed mixes are a selection of Australian grown seeds now available in Europe for the first time. They include, “Phalaris”, “Signal Grass” and “Silk Sorghum.” Wild Sorghum grass seeds form the main part of the wild Gouldian finches’ staple diet. Ingredients: White Millet & Ryegrass Seed. When do you feed it? The Austerity diet can also be fed for a total of 2 weeks after the Breeding diet has ended. The sudden change in food will help trigger the moult once breeding has finished. This is known as the “pre-moulting Austerity Diet” and assists in keeping all the birds life-cycles synchronised. After the 2 week period has finished, the birds should be placed back on to the highly nutritional Breeding diet to assists them in getting through the moult. The moult is a stressful phase of a bird’s lifecycle, up to 80% of its feathers can moult into new feathers in as little as six weeks. What else can you feed your birds during the Austerity diet? No supplements should be offered during an Austerity phase of the bird’s life-cycle. Only fresh clean water and the Austerity Seed mixture should be offered during this time. Ingredients: Canary Seed, Red Panicum, White Millet, Silk Sorghum, Japanese Millet, Yellow Panicum, Ryegrass Seed, Yellow Millet, Signal Grass, Pinhead Oatmeal, Phalaris, Hemp Seed, White Lettuce, Black Lettuce & Cocksfoot Grass seed (Knaulgras). The Breeding diet begins after the 4 week Austerity diet period has ended. After 4-6 weeks of being fed the Breeding diet the birds are ready for pairing. The Breeding diet is fed for the duration of the breeding season, a further 5 months. (6 months in total). Once the breeding season has finished it is time to separate the youngsters from the parents. The juvenile birds should be kept on the breeding diet until they are fully moulted. Separating the parents into same sexed flights and placing them on an Austerity diet for 2 weeks will assist in inducing the moult. The first few pinhead feathers should now be noticeable on the birds’ bodies, place them back onto a full breeding diet for a further 6 weeks to assist them through the moult. Once they have moulted they are ready to move onto the maintenance diet. What else can you feed your birds during the Breeding diet? 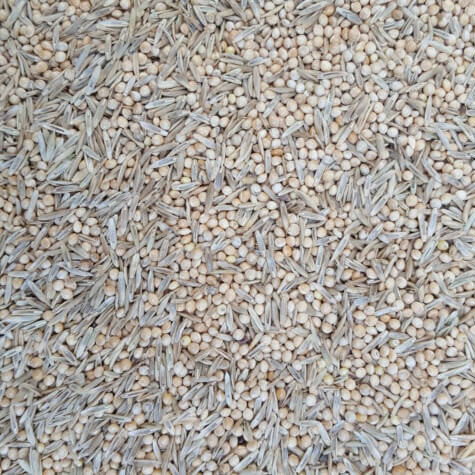 For best breeding results we recommend offering sprouted seed and/or fresh green millet daily, along with the scientifically formulated naturally for birds “Prima” and “Micro-nutrients” complete-food supplements. These can be offed separately or mixed with an egg/soft food. Oyster-shell is also recommended to be available daily for laying hens. My birds are also keen on Sam1’s Thrive on omega3 as an additional treat. Ingredients: Red Panicum, White Millet, Canary Seed, Silk Sorghum, Japanese Millet, Yellow Panicum, Ryegrass Seed, Yellow Millet & Signal Grass. The Maintenance diet begins after the birds’ have moulted and finished the breeding diet that sees them through the moult. The Maintenance diet is fed for 3 months. After 3 months of the maintenance diet the birds’ are ready to begin the pre-breeding Austerity Diet. What else can you feed your birds during the maintenance diet? During the first of the 3 months, supplements should be available every other day only. During the second month supplements should only be offered twice a week. And during the final month offer supplements just once a week. This allows for a smooth transition into the next phase of the bird’s life-cycle which is the Austerity Period. Supplements that can be offered during the maintenance diet include the naturally for birds “Prima” and “Micro-nutrients” complete-foods. These can be offed separately or mixed with an egg/soft food. Oyster-shell is also recommended. All the above seed mixtures and the naturally for birds supplements are available from our online store and are available for shipping throughout the U.K and EU. Peter Hindle supplies our seed mixes and the Naturally for Birds supplements for the South West of the U.K.
Our seeds will soon be available from Sam1 Bird Products http://www.sam1birdproducts.co.uk/ for the Midlands. The Naturally for Birds range of supplements are also available from Sam1. 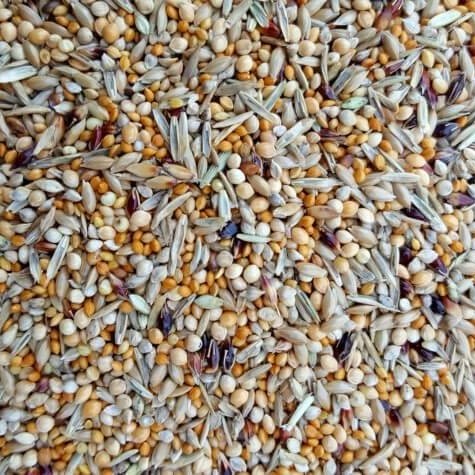 For those outside of the EU and in the USA, our Seed Mixtures will soon be available via Terri through the online store and shop “Glamorous Gouldains” http://www.glamgouldians.com/index.php Glamorous Gouldians also stock the full Naturally For Birds range.